Another Voice is born - For the second year in a row, a Nigerian has won The Voice UK. 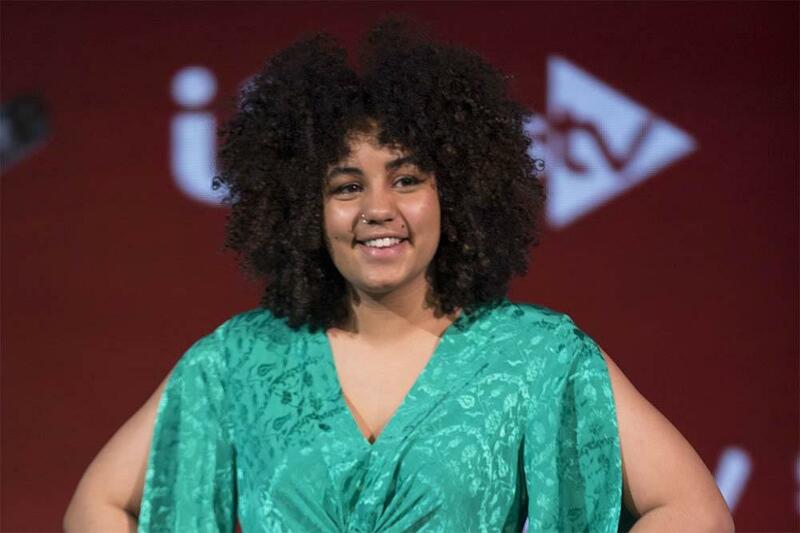 The winner of The Voice UK 2018 is 18 year old Ruti Olajugbagbe. The chubby beauty has such a pure voice, and an open personality, I would have screamed murder if she did not win. Its not like I follow these stuff religiously, but I stumbled on her voice on Instagram and fell in love. Her voice is like a cross between Adele, Enya, Beyonce and Fergie. Its so fresh and new, I could listen to her all day every day. What I love most about her is that she has her father's love and obvious support. She's grounded in family. Its an added bonus that her father is Nigerian, and from my part of the country, Yoruba too. Many Yoruba fathers (mine included) do not have good track records for this generation. This man doesn't look all classy and fly in any of the clips I have seen of him cheering his daughter on, but you can see the joy and love and pride in his face, in his enthusiasm, in his eyes. This one did not force his child to read medicine or law and practically leave her to fend for herself if she did not follow his dictates. This one let the child shine through. Ruti appears so calm in all I have seen. I am proud of her, and not just because she's half Nigerian.